References were made to Cú Chulainn when adding the ancient Irish sport to the list - with Unesco saying it is "considered an intrinsic part of Irish culture". The only previous Irish entry onto the list is uilleann piping - which was only added last year. Representatives from the GAA, the Camogie Association and the Department of Culture say the entry has come after years of hard work. A delegation from the GAA travelled to Paris in October to lobby for hurling and camogie's inclusion on the list. Unesco described hurling as "a field game played by two teams which dates back thousands of years and features strongly in Irish mythology, most notably in the epic saga of Cú Chulainn". It defines 'intangible cultural heritage' as the practices, representations, expressions, knowledge and skills that communities, groups and individuals recognise as part of their cultural heritage. Other entrants included Iva grass picking in Bosnia Herzegovina, chidaoba wrestling in Georgia, and chakan embroidery art in Tajikistan. Speaking at the announcement at Croke Park yesterday, Culture Minister Josepha Madigan said all parties "put on a wonderful charm offensive in Paris" when lobbying for hurling to be added. 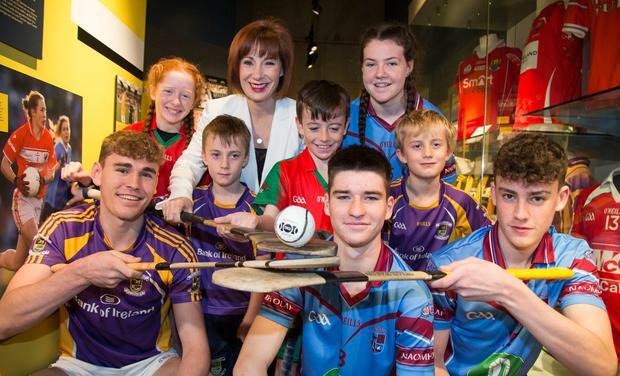 "It means that hurling is going to be recognised internationally as a key element of Ireland's living heritage and will be safeguarded for years to come, so it is a red-letter day for Irish culture," Ms Madigan said. "Today hurling is played all around the world in almost 40 different countries where the players not only celebrate and partake in Irish culture but also contribute to sharing it with others." GAA director general Tom Ryan said hurling and camogie's place and importance was already ensured "but today really moves things to a different level". "It's yet more proof of the power of hurling and camogie and of their ability to win people over," he said. He added that the sport "goes back 3,000 years" and "has always been more than just a game for us". Camogie was included as part of the hurling entry. Unesco decided there was not a significant difference between both sports and that there was no need to make a distinction, because women were very much included in this. President of the Camogie Association Kathleen Woods said, "We are all the one family." "This is a historic moment for our Gaelic family, this honour enshrines our game into Irish culture and will protect the sport going into the future," she said.